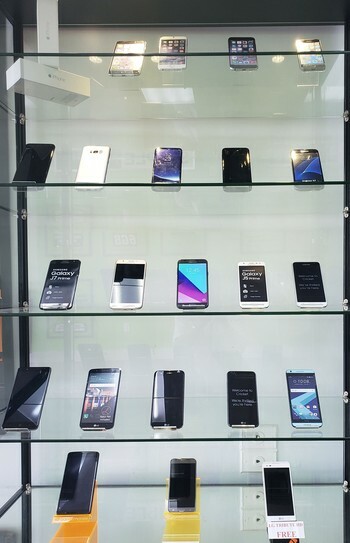 At our stores you can buy from a wide selection of factory unlocked phones. We sell phones from many manufacturers including Apple, Samsung, LG, Alcatel, ZTE. All our phones are ready to use with any network in any country. You will probably find what you are looking for, because we have inexpensive phones as well as the latest iPhone and Samsung smartphone models. All of them new at great prices and with warranty. If you need to activate a line for your new or your old phone we can do that for you. We can activate lines for Simple Mobile, Net10, T-Mobile and Boost mobile. If your phone was previously in use with T-Mobile, ATT, Sprint or Verizon we will be able to activate a line compatible with your phone network, even if it is locked for specific network.